Developed to maintain and balance hormonal function, Hormonise is also highly recommended as a supplement that can help with particularly moody mares showing unsociable behaviour. Also proven to aid and sustain balanced normal, healthy hormonal balances in veteran horses and ponies. Below are some recent questions we've received regarding Health & Herbal Hormonise for Horses, including answers from our team. This is a very good question. It does seem that some horses respond to herbal medications of many different types, though the reasons for this are not entirely clear. It is quite possible that this product will make a difference for you, but results are not always consistent and some horses seem no different at all. 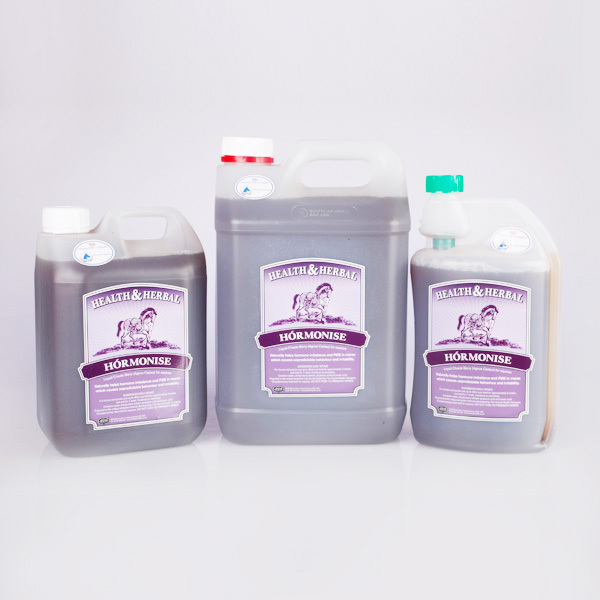 There are many different calming products made for horses and certainly these seem also to help with some horses, but others are unaffected.These products are all regarded as very safe and free from side-effects. It is difficult to be sure that this will always be the case either, but I have never heard of them genuinely causing any trouble at all. It seems you just have to try it and assess the results for yourself. I do feel that it is worth a try.